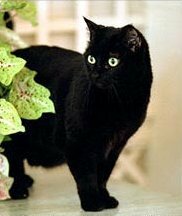 This is George and Laura Bush’s cat, India. 1. Her name pissed off people in India so much that they started naming their dogs Bush. 2. She’s named after a baseball player. 3. She has an official White House biography.